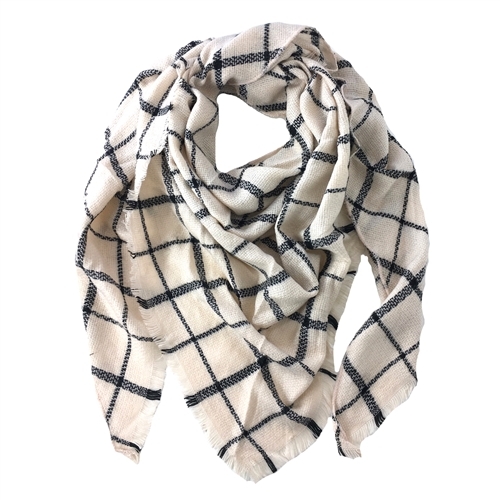 Drape this cozy scarf over your shoulders to create a layered look you'll love. Featured in a classic windowpane check print. Triangle scarf shawl in soft knit construction.